Household leaks can waste more than 1 trillion gallons of water annually nationwide, so each year EPA urges homeowners and businesses to hunt down the drips during Fix a Leak Week (March 14-20, 2016). Learn more at the EPA’s Fix A Leak Week website. 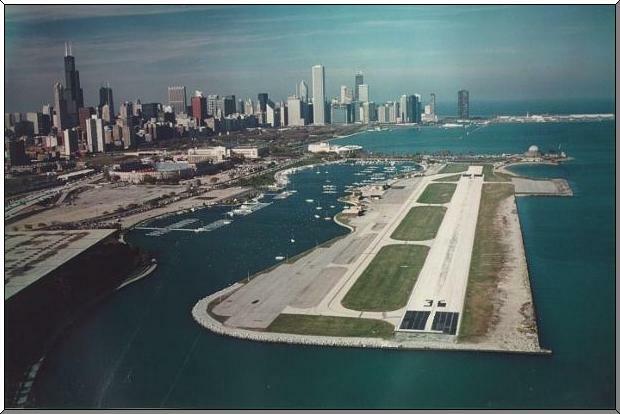 Twelve years after Mayor Daley shut down Meigs Field in the middle of the night, Northerly Island has been restored to its original purpose: a park-island. Daniel Burnham’s 1909 Plan of Chicago had originally proposed five such park-islands between Jackson Park and Grant Park, but only Northerly Island was every constructed. First built in 1920, the Island was part of the Century of Progress Exposition in 1933-34. The city transformed it into an airport in 1947, which it remained until it suddenly closed in 2003. The U.S. Army Corps of Engineers and Chicago Park District collaborated to transform the southern part of Northerly Island into an ecological escape for Chicagoans. This 43-acre park now includes wetlands, hills, camping grounds, and walking paths allowing the public access to landscape and wildlife. More than 150 types of native plants will be installed, designed to attract migratory birds and local insect populations. The total project cost, including feasibility and design phases, construction and construction oversight, is estimated to be $9.5 million, including a federal share of about $6.2 million secured by the Army Corps Great Lakes Fisheries and Environmental Restoration (GLFER) project. The non-federal share of Park District funding is about $3.3 million, consisting entirely of revenue from FirstMerit Bank Pavilion at Northerly Island. Press Release: “Mayor Emanuel, Senator Durbin, Chicago Park District Celebrate Grand Opening of Northerly Island Restoration Project,” September 4, 2015. Chicago Tribune: “Northerly Island Park opens Friday on Chicago Lakefront,” September 2, 2015. Do you love the Chicago River and want to volunteer with Friends of the Chicago River to help improve and protect it? Become an Eco-Warrior today. Learn more about becoming an Eco-Warrior on the Friends of the Chicago River website.